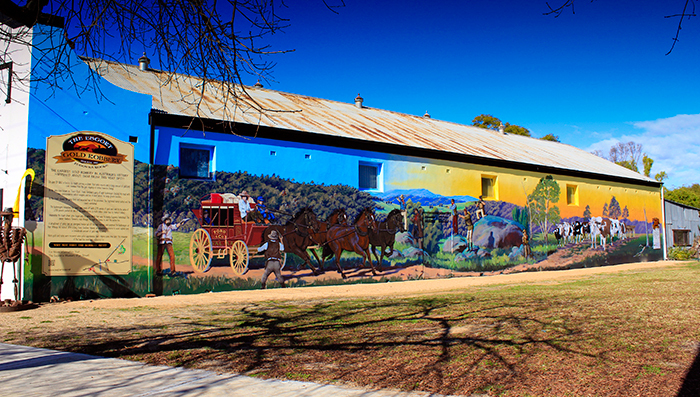 Take a look back into the past when you visit the olde worlde charm of Molong, with its many poplar trees and lovely, rolling countryside. In the heart of the rich agricultural shire of Cabonne, Molong is at the centre of a rich farming district producing wheat, sheep, wool and cattle, fruit and wine. 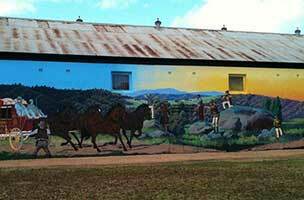 Molong is bustling with history and it shows as you wander down the wide streets. The main street, is early Austen-European and classified by the National Trust Beautiful historic buildings are scattered throughout the town. The Molong Railway Station was built in 1886 and was the first terminus for the main western line from Sydney until 1893. Today it houses the public library and an enchanting park that has plenty of room for parking and to take a well-deserved break from your travels. The Coach House was built in 1870 and used for stables for the New Royal Hotel. A tapestry is now displayed in the Coach House and this four section, free standing screen depicts the European settlement of Molong and district and is very impressive to see. Another point of history and interest is the grave of Aboriginal guide to Thomas Mitchell, Yuranigh. Described by Mitchell as “guide, companion and friend”, Yuranigh accompanied him on his expedition to Queensland in 1845. When Mitchell heard of his death, he paid for the headstone on his grave, which you will find a short distance from town. Yuranigh was buried according to aboriginal custom with carved trees at each corner of his grave, which indicated he was a man of special honour. 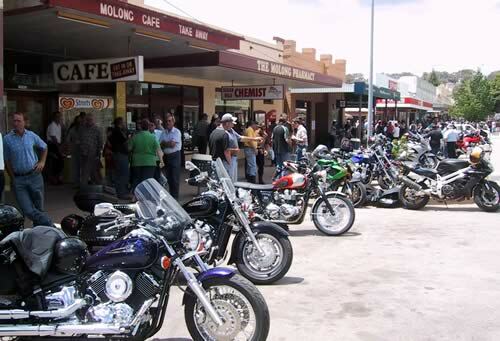 The name ‘Molong’ is derived from an Aboriginal word of the Wiradjuri tribe meaning ‘place of many rocks’. The original settlement was located about 1.5km east and little is known of this earlier site which accommodated the embryonic township for more than 20 years. 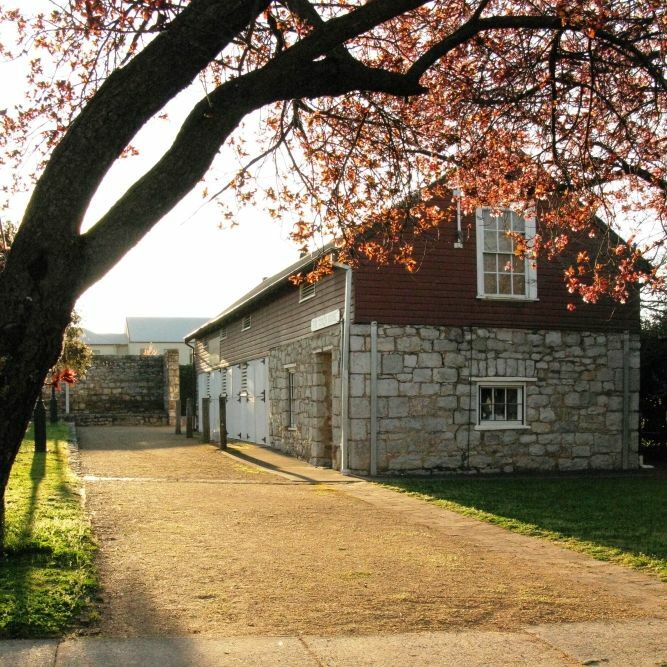 It began as a Government stockade in 1822 which served as a stopping point for stock travelling to the convict station established at Wellington in 1823. The first land grant in the area was to William Lee who was granted title in 1832 while other holdings were taken up by Marsden, Kite, Betts and Robarts around that time. This was also around the time that Major Thomas Mitchell was exploring areas of inland Australia accompanied by Aboriginal tracker called Yuranigh. Mitchell’s journal records 91 references to his many qualities. Yuranigh was killed in 1850 on the southern outskirts of the present town and was buried about 2km further south ‘according to the rites of his tribe’. The grave, not far from the highway, is ‘guarded’ by four marked trees. A headstone and railing were erected in 1852 by the NSW Government with Mitchell paying the cost. Copper was discovered at Copper Hill, 3km north of the town, in 1845 and the site may have developed into a town had the discovery of gold at Ophir in 1851 not drawn all the miners away. The site for a permanent village of Molong at the present location was gazetted in1849 and the first land sales took place in 1856. The municipality of Molong was constituted in’ 1878. Although the railway did not arrive until 1886 the decision was made in 1881 and this alone was sufficient to boost the town’s development with banks being established and shops built. 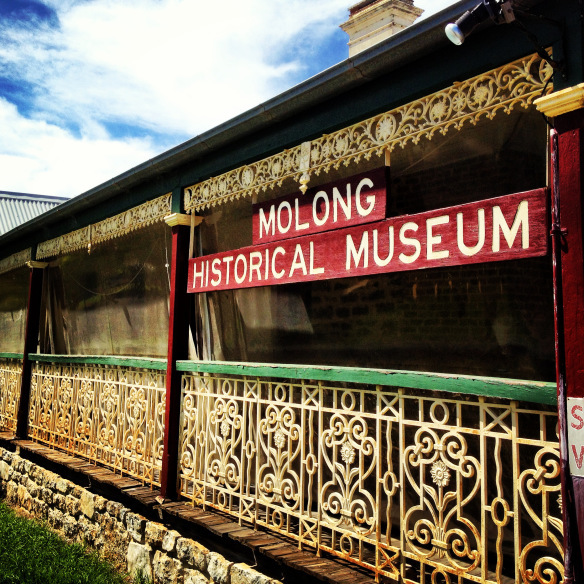 Molong was the terminus of the railway for seven years and the amount of business generated was considerable. 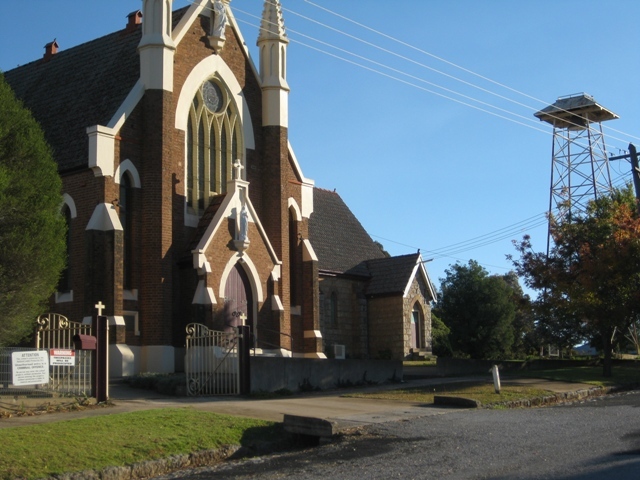 The 1870s and 80s were a period of prosperity throughout Australia and Molong was no exception with many buildings erected.